A mock-up is a model or replica of a certain object or structure used for instructional or experimental purposes. In manufacturing and design, a mock-up is a full-size figure of a design or material used for learning or teaching, demonstration, evaluation, or promotion and other purposes. It becomes a prototype if it can present at least part of the system’s function and allows testing of a design. 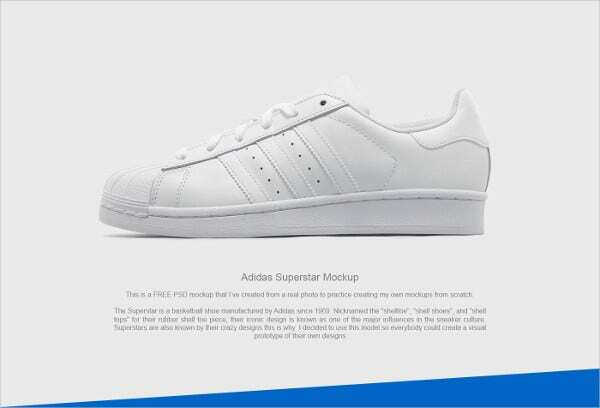 Mock-ups are essential to the business world. 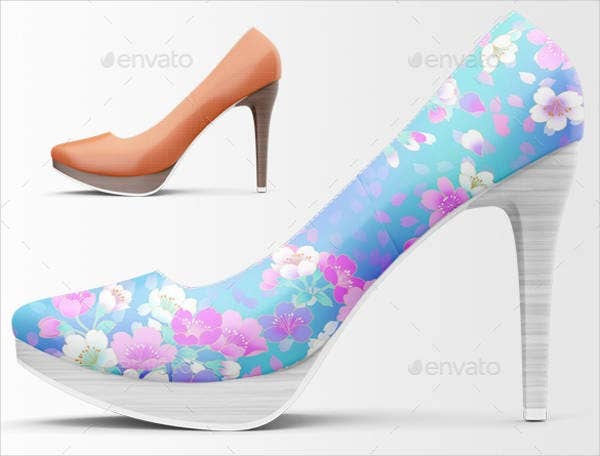 If you are creating mock-ups for your shoe business, then our collection of mock-ups in shoe designs are what you’ve been looking for. Take a look at them below. 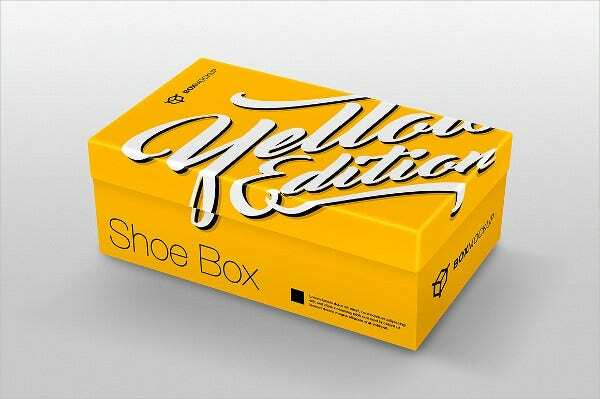 Another selection that you can check out is our PSD Box Mockups. 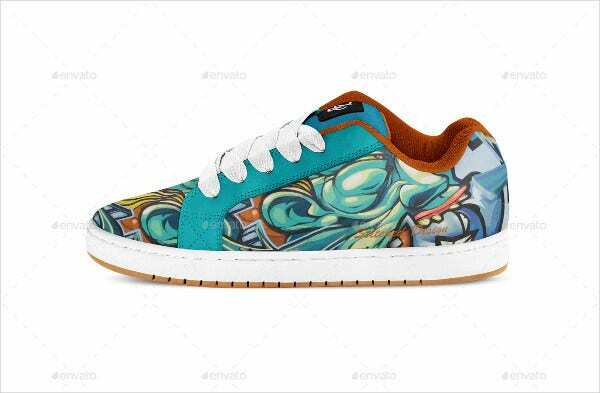 Shoes are an extrinsic covering for the human foot, generally made from leather and consisting of a more or less solid or heavy sole and lighter upper part. They act as protection for our feet against the elements and have been with humankind for as long as we’ve existed. In approximately 7000 or 8000 BC, the earliest known shoes were sandals discovered in Fort Rock Cave in the US state of Oregon in the year 1938. The oldest leather shoe in the world was made with a single piece of cowhide laced with a leather cord along hems at the front and back and was found in the Areni-1 cave in 2008, which dates to 3500 BC. Even after we are born, we wore small booties for babies, and as we age, shoes have always been our constant companion. No matter where we are, they are also there. They are a witness to our daily adventures in life. 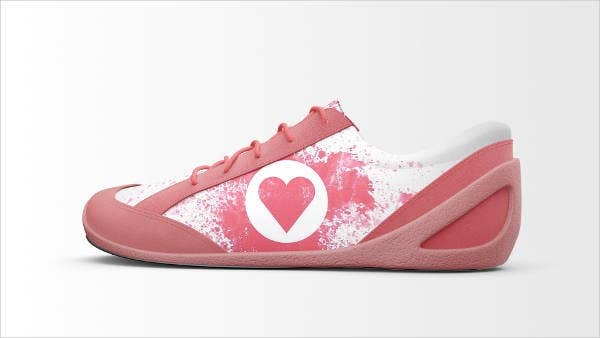 Nowadays, there are already shoes for occasions, preferences, and even moods. There has also been a shift away from styles that focus generally on capacity and comfort as many designers are changing interest from pragmatic to that of a sophisticated taste of art. There are famous Hollywood celebrities who introduce the world to bizarre footwear as part of their clothing. 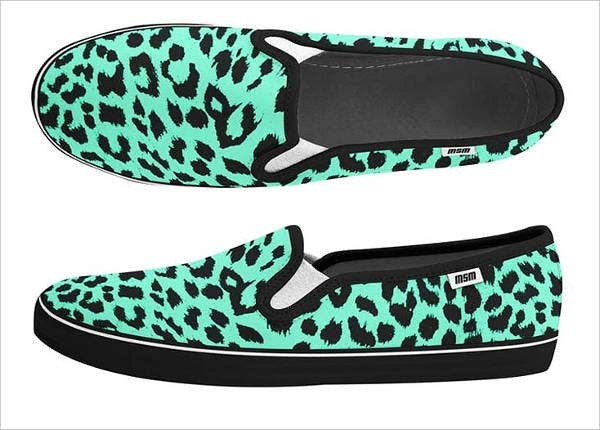 If this trend keeps on evolving, you can expect that shoes will be more unparalleled than ever. 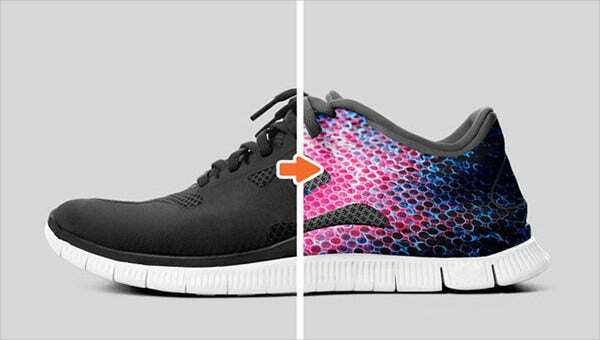 Now that we’ve covered the basics of shoes, it’s time to design your own line of footwear and create mock-ups using our shoe mock-up templates. Shoes have been and will always be part of human’s existence in this world, and as the world changes, so do shoes. 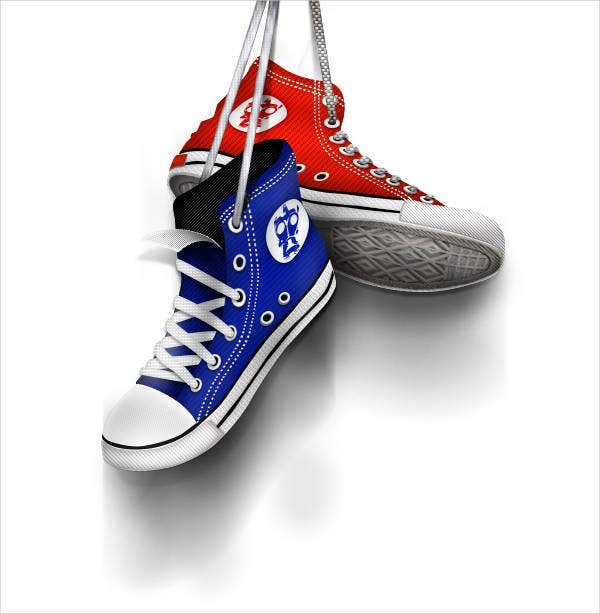 Now, when it comes to business, shoes are one of the most purchased items globally. 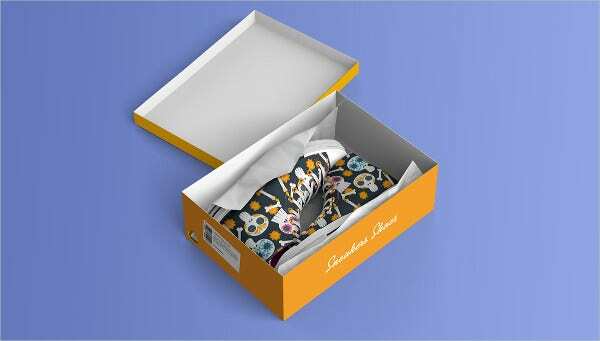 In case you are starting your own shoe business and you would like others to see replicas, our shoe mock-ups are what you’ve been looking for. No need to look elsewhere since we’ve got you covered. Our mock-ups are a great choice since they come in a variety of styles. These are also editable just in case you like to edit them. You can download them to any device anytime and anywhere. Pretty convenient, isn’t it? Now you have more time to do other things for your business. When it comes to mock-up designs, ours should be top of your list. If you have friends who are also looking for these, share this page with them. They will appreciate it for sure. 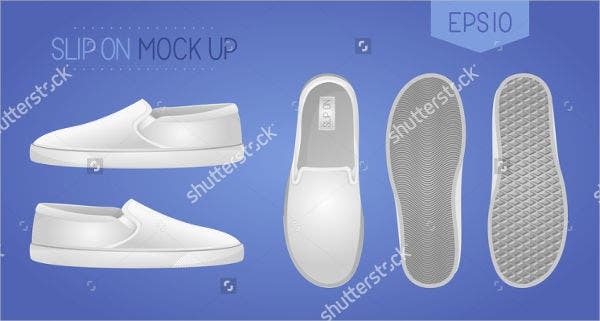 And in case, you are also looking for animated mock-up designs, our Animated Photoshop Mock-ups are a good deal. The layouts are fantastic and state-of-the-art. Download them now!